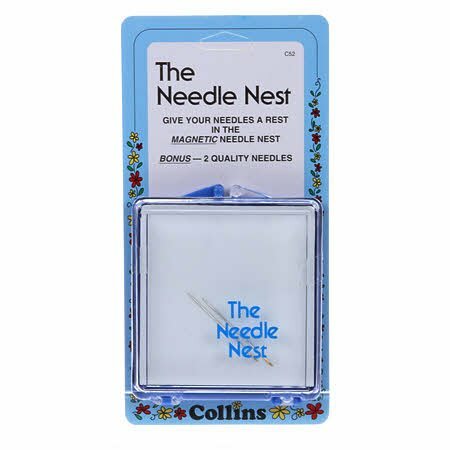 The Needle Nest Magnetic is the clear plastic case that has a magnetic base that holds your needles in place giving you access to your needles at a glance, and can easily fit in a purse for travelling. Comes with two bonus needles. The case is approximately 2 5/8"x 3 1/4". Small enough to fit in your purse or quilting tote. Poole's Preference: I love this needle case! It has always been a challenge for me to remember to pack my needle from place to place, but then where do I put it? Your needle is always corralled within your quilting tote, project box, or whatever you carry your projects in. Small enough even for EPP cases.